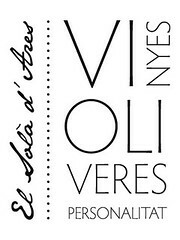 • NOTA DE TAST: Color cirera i ribet granatós. Agradable nas ple de fruita madura amb predomini de fruits del bosc, suaus i tocs suaus torrats de la bóta, intensos balsàmics amb suaus tocs mentolats, agradables especiats amb tocs de clau, records de xocolata, tabac i un immens fons mineral. Potent entrada en boca, ampli, amb volum i nervi però no arriba a molestar i passa molt bé en boca, intens, molt bona estructura, fruita madura i bona acidesa que apaivaga els tocs amargosos en la seva llarga persistència. Final llarg, postgust de fruita madura. • SUGGERÈNCIA DE SERVEI: Es recomana servir-lo a uns 18º C. No cal decantar-lo. 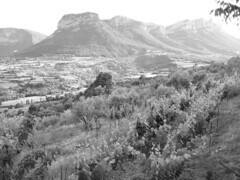 WINEMAKING: grapes grow in steep slopes on the slate typical of Priorat “llicorella”. Fermented in open stainless steel tanks and oak barrels of 600 liters. Aged in French oak barrels of 600 liters for 18 months. Bottled in March 2015. 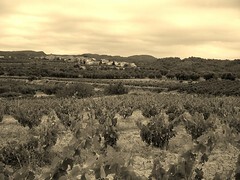 This is a Estate Wine from Torroja del Priorat. 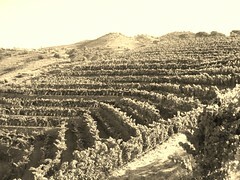 The ‘Pineyard’ is the name of our own-vineyard where grapes grow. TASTING NOTES: Cherry and maroon trim. Pleasant nose full of ripe berries predominantly soft and gentle hints of toasted oak, with intense smooth balsamic touch of menthol, nice spice with hints of clove, chocolate, tobacco and mineral notes. Powerful on the palate, broad and voluminous nerve but does not bother and goes nicely on the palate, intense, good structure and acidity. Long and an aftertaste of ripe fruit. FARMING: Vineyard in organic farming since 2010. SERVING SUGGESTIONS: We recommend serving it at about 18 ° C. No need to decant it. He tenido la oportunidad de probar este vino hoy y me ha encantado. Totalmente recomendable.